Make your own Homemade Fabric Softener with this super easy recipe. This is the best high efficiency washer fabric softener homemade clone that you can diy. You can really save a lot of money and cut costs on Fabric Softener when you make it yourself. – Find a large container. 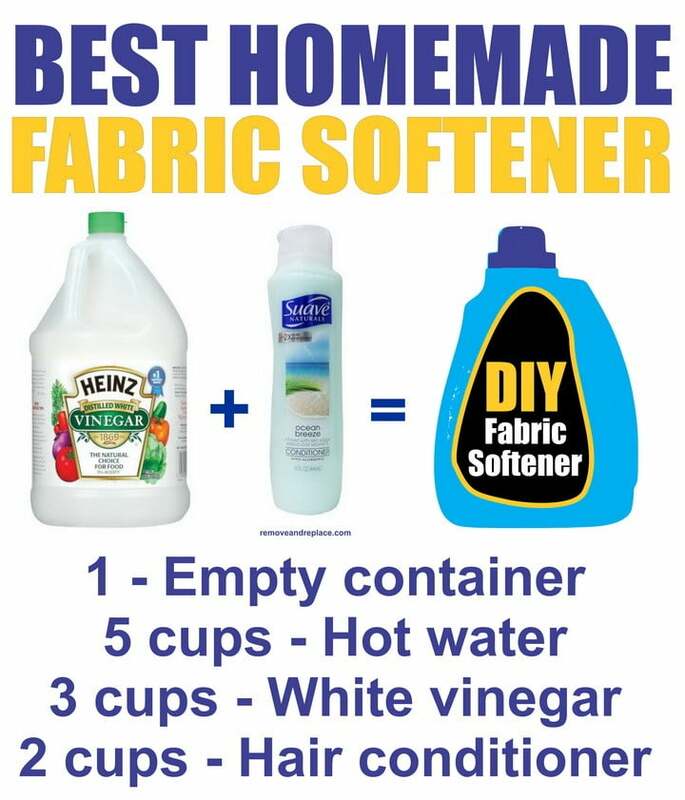 Use an old empty fabric softener container! – Mix conditioner and hot water together in empty container until the hair conditioner is completely dissolved in the hot water. – Next add the vinegar and mix by shaking the container vigorously. – Finally pour the diy mixture into a downy ball OR use 2 tablespoons in the fabric softener tray in the washing machine. I’m going to try this .